Running a Facebook page is very different from looking after your own personal account. Although the basics are similar, Facebook offers many features for pages that will both help you and improve the experience for your Facebook audience. Are you promoting an event that starts or ends in a few hours time? If yes, this is the perfect tool for you. Facebook can present your page posts in the Newsfeeds of your fans for several days (or longer depending on how engaging it is), but after your event has finished no one will want to see promotions for it. Post end date is a feature Facebook introduced back in 2014 to help combat this. As you set up your post, you can also choose a date for it to stop showing in the Newsfeeds of your users. 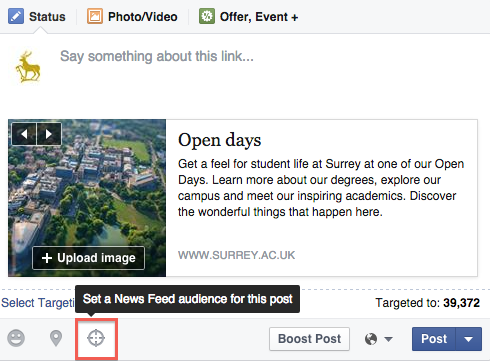 Simple select the targeting icon as shown above and then select ‘Post end date’. As well as choosing when you no longer wish your posts to appear in the Newsfeed, you can also target certain members of your audience. This means that if there are members of your audience to whom your post won’t apply, they won’t be displayed it in their Newsfeed. 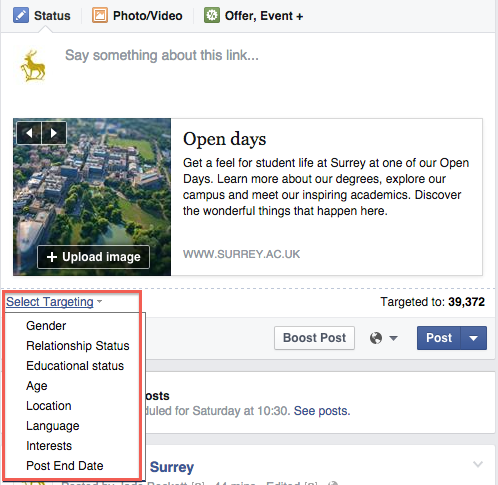 There are a number of targeting options available including interests, age and location. Location can be particularly useful if you’re audience is made up of many nationalities and you wish to share specific posts with those from a specific country. 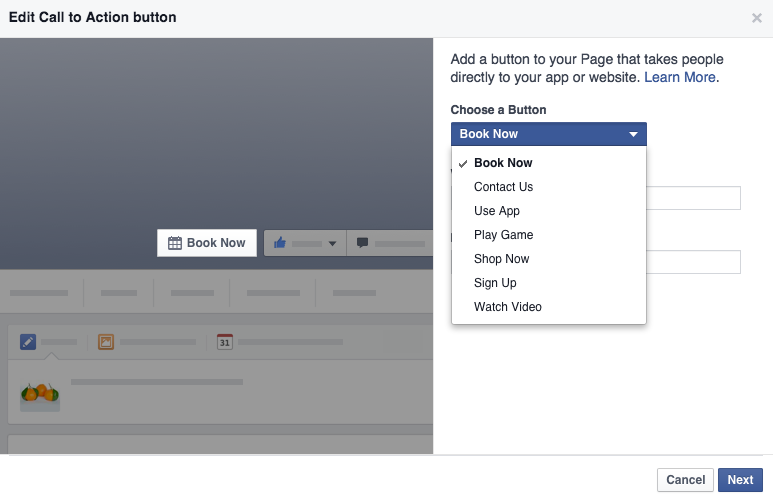 In 2015, Facebook introduced a new ‘Call to action’ button which features in the corner of the cover photo at the top of the page. Currently our call to action is to book for our upcoming Open Days, however there are a range of other options available, as shown below. This button is located in a prime space on your profile, so make the most of it. You’ll also be able to view analytics on how many clicks your button has received. 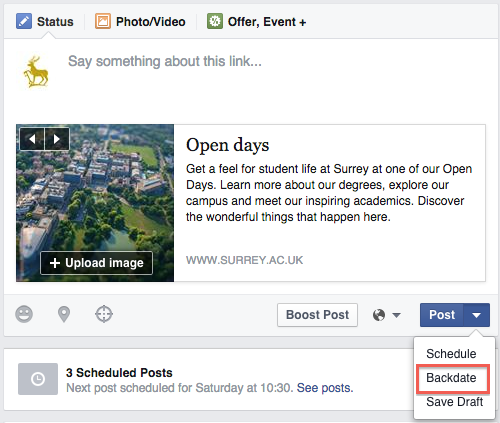 As well as scheduling posts to go out in the future, Facebook also offers you the opportunity to backdate your posts. This is particularly useful if you’re setting up a new page and want to populate it before promoting it to your audiences. As with scheduling, you simply click on the downward arrow next to ‘Post’ and select backdate. You may have noticed a number of tabs along the top of your Facebook page, many of which may be completely irrelevant to you and not something you need to feature highly. However, it is possible to edit these to feature relevant tabs more highly, simply select ‘More’ and then ‘Manage tabs’. 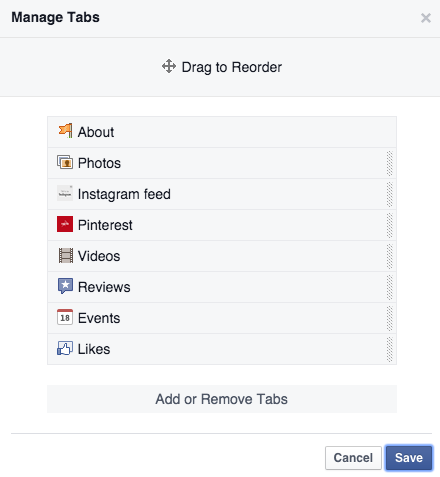 Here you can not only reorder the tabs to feature more important ones in the top bar, but also add / remove your own. 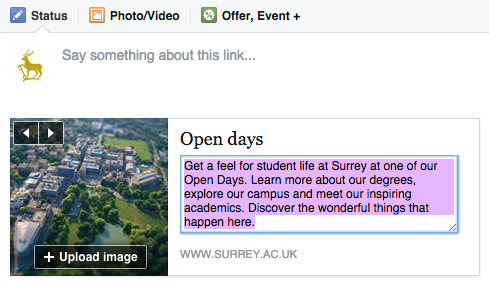 On the University of Surrey Facebook page, we have added links to our Instagram and Pinterest accounts, which are then populated within the tab. 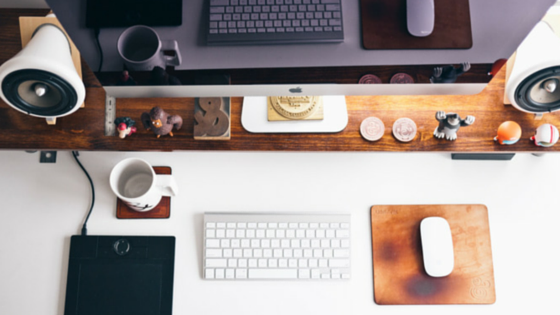 Explore your options and see what might work best for your page. Have you ever posted a link to Facebook and felt the text chosen in the preview doesn’t quite convey what you want it to? Well, there is a way to change that. Once the preview has loaded, click on the text. You can then edit this to say something more catchy and provide more information about the content. You can also edit the featured image, uploading your own – as seen below. You may have noticed that in the actual body of the post above there is no URL. Once a link preview has populated, it is possible to delete the original URL but still maintain a link to your content through this preview. This is often a matter of preference, however it does make your post look neater and easier to read for your audience.